Will enormous walls protect humanity against the gigantic Titan humanoids? Find out with this Attack on Titan figure. 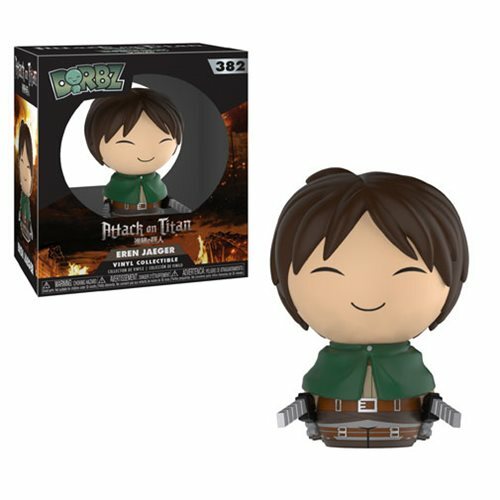 The Attack on Titan Eren Dorbz Vinyl Figure #382 measures approximately 3-inches tall and comes packaged in a window display box. Ages 3 and up.